Intake – To discuss whether PACE of the Triad is right for you or a family member, call us today at (336) 550-4040. We will visit your home to assess your needs, answer your questions and explain our services. If you are interested in becoming a participant with us after this visit, the intake team will discuss your health care needs with other team members and arrange a visit for you at our PACE Day Center. Typically, one to two visits are necessary for you to get to know us and for us to get to know you and your special medical needs. We will ask your permission to get medical records from your other providers so we can have a comprehensive view of your specific situation. Assessment – After each team member has reviewed your medical condition, we will meet to talk about the care and services you need. 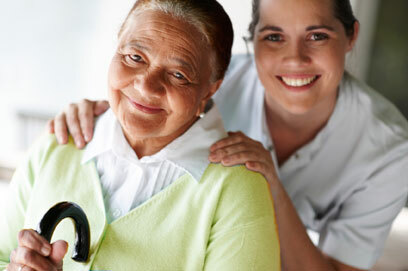 At this meeting, the individualized plan of care is developed. Approval – The nursing facility pre-admission screening team will determine whether or not you meet the level of care criteria required to participate in PACE of the Triad. If you do not agree with the decision that is made by this screening team, you may appeal the decision by writing to the Appeals Division, Department of Medical Assistance Services. If you would like to know more about PACE of the Triad, please complete and submit the form below.